EKO enables researchers by providing meteorological measurement solutions. EKO products are installed all over the world in national (e.g. JMA, ARM) and international (e.g. BSRN) meteorological measurement networks to fulfill the stringent demands of the research community. A wide range of products can be used in the field of meteorology and will comply with the existent WMO standards. 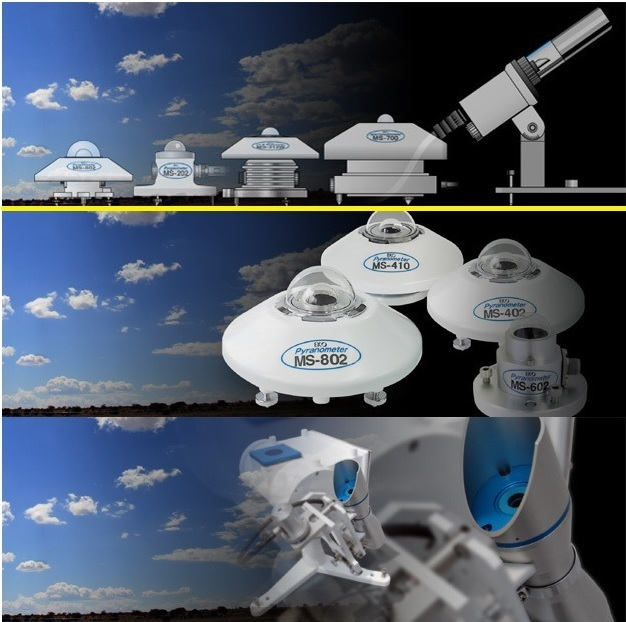 EKO Instruments offers the largest range of all weather Solar radiation & Photonic sensors designed for the most demanding applications in the professional markets and industries. Our international clients can benefit from smart instrument synergies and innovative services which persistently improve and optimize the efficiency and quality of their photovoltaic systems and meteorological research.